Meet seventeen-year-old Mimi, a fierce competitor. The prize? Acceptance to the best college. The hurdle? The dreaded Standardized College Entrance Test. Every song in this fun new musical comedy is as hooky and melodic as it is meaningful. NATASHA PARTNOY (Mimi) originated the role of Mimi in the first workshop of The Test. She reprised her role at the Fringe and is excited to return to the show here at Coronado Playhouse! Roles/productions include: Dr. Seuss’s How The Grinch Stole Christmas and Shakespeare in America (The Old Globe), Zoe in the West Coast premiere of Airline Highway (ion), Mary Jane in Big River (New Village Arts), and Annie (Moonlight Stage Productions). Honors include: National YoungArts Foundation Winner in Theater; 1st Place in Music Theatre, NATS Cal-Western Region; National Finalist in Musical Theatre, Classical Singer Competition; Acting Semifinalist, Music Center Spotlight Awards. 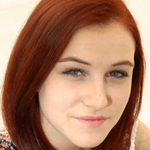 This summer, Natasha will perform in All Shook Up at The Muny in St. Louis. Natasha thanks her mom for not making her retake the SAT. PIATT PUND (Perry) is a 15-year-old freshman at Mission Bay High School and has studied music and the arts all his life. He plays violin, guitar, mandolin, ukulele, dulcimer, and Irish bouzouki and has performed original and cover songs in a number of local cafes and other San Diego venues. He recently played Ryan Evans in the sell-out CYT production of High School Musical. 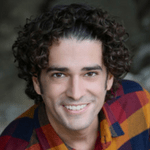 He was recently cast in the children’s ensemble of the upcoming production of The Little Mermaid at the Moonlight Amphitheatre in Vista. He studies voice with Karyn Overstreet Vocal Studio. He has been featured in several television and radio commercials. He also performed as Ugly in Honk Jr.
WENDY MAPLES (Mom, Proctor) is thrilled to be a part of The Test! Stage credits include Orange Julius (MOXIE Theatre) PIPPIN, Fair Use (Diversionary Theatre) and Dog Sees God (InnerMission Productions.) Additionally, she has directed for Playwrights Project, InnerMission Productions and the Theatre Arts School of San Diego. Wendy is a founding teacher at High Tech Middle, Chula Vista. Thanks to Courtney, Tony & Katie! 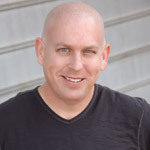 DEVIN COLLINS (Dad) is excited to make his debut on the Coronado Playhouse stage with The Test. Local credits include My Fair Lady, Fiddler on the Roof, The King and I, A Funny Thing Happened on the Way to the Forum, and The Producers – Welk Resort Theatre; The Music Man, My Fair Lady, and Annie – Moonlight Stage Productions; Oklahoma! New Village Arts; The Fantasticks – Scripps Ranch Theatre; South Pacific – Temecula Valley Players, Urinetown – Barn Stage Company; Hello Dolly, My Fair Lady, Ragtime, Beauty and the Beast, Oklahoma!, Urinetown, Jesus Christ Superstar, Sweeney Todd, Damn Yankees, and Fiddler on the Roof – Starlight Musical Theatre; You’re a Good Man Charlie Brown, A Year With Frog and Toad, and The Boys Next Door – Oceanside Theatre Company. Thanks to Tony, Katie, and Courtney for this wonderful opportunity. 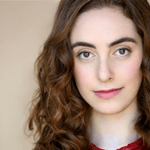 MEGAN SPECTOR (Stella) is excited to get another opportunity to perform in The Test after originating the role of Stella in the initial workshop and staged reading. Favorite credits include: Sweet Charity (Canyon Crest Academy), Spring Awakening (CYC), Into The Woods (CYC), LEGO Friends Live Holiday Show (LEGOLAND CA), The Secret Garden (CYC), Fiddler on the Roof (Moonlight), Annie (Moonlight), Snoopy! The Musical (Pickwick Players), Annie (Pickwick Players), Peter Pan (San Diego Junior Theatre), Evita (PaccoArts), and The Wizard of Oz (Broadway San Diego National Tour). Megan thanks Katie and Courtney for this incredible experience! KEVIN DAVISON (Earl/Tour Guide) Kevin is beyond excited to be apart of this amazing new musical! Some past credits: How the Grinch Stole Christmas 2011/’12/’13 (The Old Globe) Once Upon a Mattress, 13, Addams Family (The Encores’ YAT) Seussical, Something’s Afoot (Pickwick Players). Off stage credits: Associate Director: A Charlie Brown Christmas, Stage Manager: To Kill A Mockingbird (Pickwick Players) Sound Design: School House Rock! (The Encores’ YAT). 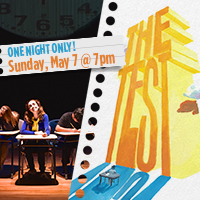 Huge thanks to the Coronado Playhouse and the cast of The Test! CASSIE BLEHER (MARY) Cassie Bleher is so excited to be apart of this amazing project! 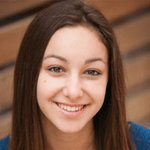 She is a junior at Classical Academy High School and this is her Coronado Playhouse debut. Having just taken the SAT, she can really relate to this show. Some of her favorite past roles include Millie in Thoroughly Modern Mille (Moonlight Youth Theatre), Belle in Beauty and the Beast (Patio Playhouse), The Witch in Into the Woods (Moonlight Youth Theatre) and the Dragon in Shrek (Classical Academy High School). She would specifically like to thank Katie, Courtney, and Tony for this opportunity and her vocal coach Karyn Overstreet. DENNIS DIZON (Joe) is a 17 year old junior at CVHS SCPA. Dennis is very excited to be making his Coronado Playhouse debut in The Test. 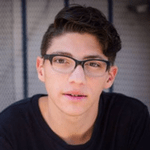 While this is his first time in a Coronado Playhouse show, Dennis has done theatre with Junior Theatre, Breakthrough Workshop Theatre, CYT, and VAPA. Some roles include: Piragua Guy in In the Heights, and Bun Foo in Thoroughly Modern Millie. 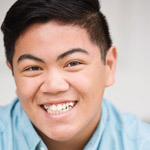 Aside from musical theatre, Dennis also participates in singing and talent competitions including the Spotlight Singing Competition at the Del Mar Fair where he placed 2nd, and the Star to be singing competition at BroadwayCon. 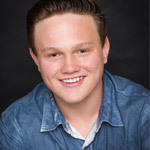 Dennis currently trains in singing and acting with Karyn Overstreet and Shauna Markey and is grateful for their help and support. He’d like to thank Courtney, Katie, and Tony for giving him this opportunity! KATIE BRADY (Writer) Playwright and award-winning singer/songwriter Katie Brady finds inspiration in artists such as Jason Mraz, Sara Bareilles, Bruno Mars and Emily Saliers. 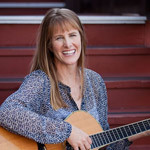 Ms Brady’s award-winning songs include “And Love,” Dusty Stone Floor” and “Hear You In The Wind.” As her alter-ego Katie Brady The Music Lady she wrote and produced the children’s album “Crazy Day” which includes the award-winning song “Pet Rock.” Folks in San Francisco may remember her as the front woman for the bands Sweet Harriet and CrackerJack Tattoo. Her first play Turbulence debuted at the 2015 San Diego International Fringe Festival. K.S. 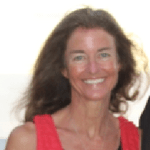 MIRANDA‘s (Collaborator) rewarding and diverse career has included life as an attorney, French teacher, author, songwriter and mother of incredible children. Her first novel, The Fifth Sun, was published by Trali Media in 2013. 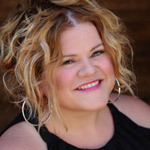 COURTNEY COREY (Director) was in the original Los Angeles and Chicago companies of Wicked as well as both the 1st and 2nd National Broadway tours of Rent. 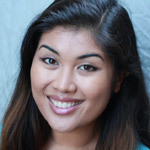 Founder/Director of The Theatre Arts School of San Diego, she has been named one of San Diego Magazine’s “50 People To Watch.” Many people may have seen her onstage at exceptional theatres such as the La Jolla Playhouse, The Old Globe, and the San Diego Rep. Directing/Choreography credits include: Le Grande Bataille Culinaire (playwright / in pre-production), Queen of Hearts (playwright), The Jungle Book (playwright), The Foolish Tree, The Girl In The Sea, Average Extraordinary, Hanabi Projects (TAS+SD), Cabaret, Evita (Lewis Family Playhouse), The Tender Trap (Actor’s Asylum), A Year With Frog and Toad (San Diego Junior Theatre), as well as many productions of Rent across the country. On any given day, you may find Courtney teaching, directing, choreographing, designing, or building!